Please use the same name that appears on your government-issued identification document, such as a passport or driver's license. May I use a P.O. box in my mailing address? Do I need to use my MileagePlus number and password to access my account? What if I don’t remember them? Can I receive credit for trips taken before I had a MileagePlus account? You may receive mileage credit for United-operated flights taken up to 30 days prior to your enrollment date free of charge. No mileage credit will be given for partner flights. You may also receive mileage credit for United-operated flights taken between 31 days and six months prior to enrollment for a $50 service fee. Please contact the MileagePlus Service Center at the phone number below or mail a copy of all ticket receipts and the original boarding passes from your United flight(s) to: MileagePlus Service Center, P. O. Box 1394, Houston, TX 77251-1394 or call 1-800-421-4655. To call from outside the U.S. or Canada, see contact information for specific countries or contact U.S. customer service at 1-605-399-2411 (standard rates apply). If the flights taken were more than 30 days prior to your enrollment, please be sure to include your MileagePlus account number and a telephone number along with a credit card number and expiration date to pay the $50 service fee. You may also pay by check or money order. Please make your check payable to United and include the information from one form of identification (driver’s license number, passport number or military ID number). This information should be placed on the top left hand corner of the check. All missing mileage requests must be submitted within six months of your flight date. Your most recent mileage accumulation is listed at the top of the My Account page or on the home page when you sign into your MileagePlus account. To view MileagePlus statements and monthly mileage accumulations, choose View my MileagePlus Statements. How often is mileage information updated? My MileagePlus account mileage is missing mileage activity. What can I do? You can request mileage credit for United-operated flights flown in the last 12 months, or in the 6 months before your membership began, if you are a new member. You may also be able to request mileage credit for airline partner flights or car or hotel reservations. For information about requesting mileage credit, visit our Requesting Mileage Credit page. Please include your name, address, MileagePlus account number and a daytime phone number with all correspondence. I have multiple MileagePlus accounts. Can I combine them? In order to combine accounts, the name and address on each account must match exactly. To request that your accounts be merged, submit a signed request to: MileagePlus Service Center, P.O. Box 1394, Houston, TX 77251-1394. Please include the following information: MileagePlus account numbers, verification of the address(es) listed on the accounts, current address and phone numbers, signature of the account holder, copy of government-issued identification and the account number you would like to keep. Do I have to fly to earn MileagePlus miles? Our MileagePlus program offers you a variety of ways to earn miles from a wide range of partners, including hotels and car rental companies. See the Earn Miles section of our website for a complete listing of partners. Where can I find the latest news and offers for MileagePlus members? 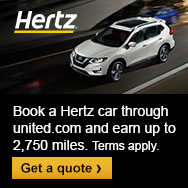 Visit MileagePlus News & Offers for offers from United and our partners and the latest program news.